If you need to extract subscriber data from Ubivox, you have to use the export function. 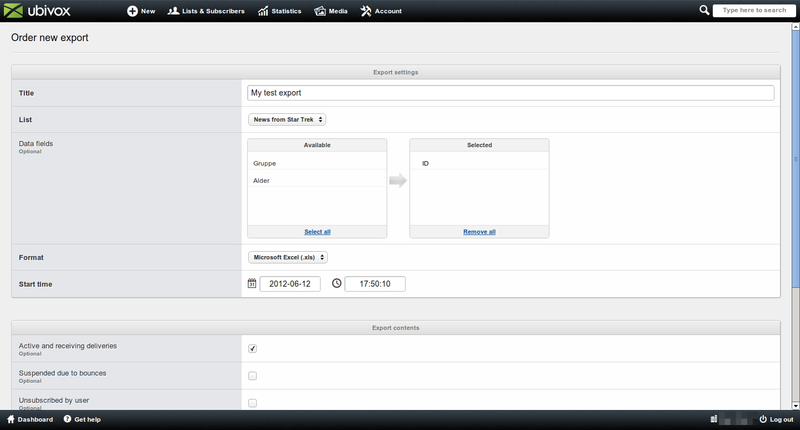 Click at Lists & Subscribers -> Export, and then Order new export. When you order the export, you are presented with a bunch of possibilities in order to specify what the export should contain. State a 'title' and chose the 'list' you wish to export. 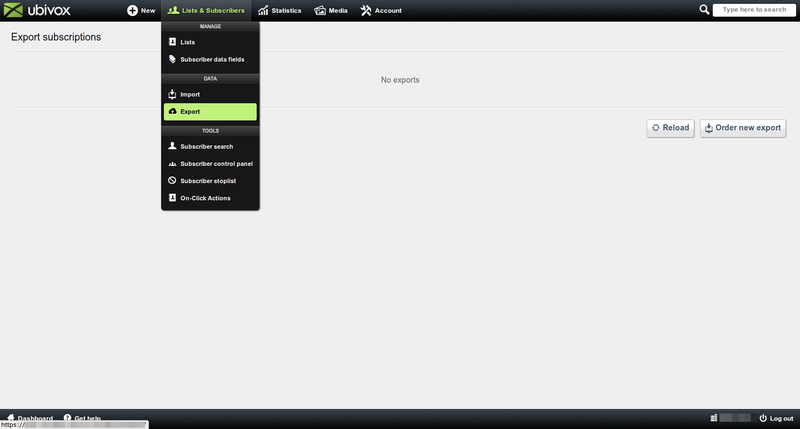 You are now able to chose which 'data fields' you wish to export along with the subscribers. Chose the 'format' you wish to conduct the export in - be aware that the Excel format is limited to 65.535 subscribers due to limitations in Excel. Afterwards, chose the 'start time' for the export. 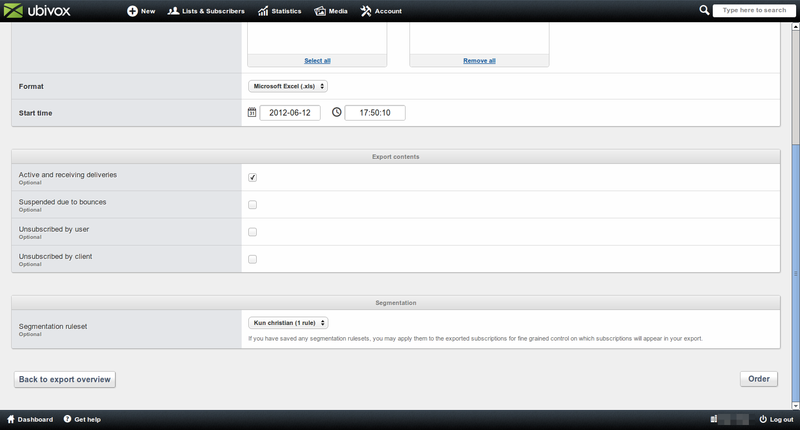 Now you have chose which group of subscribers you wish to export ('Export contacts'). Normally you can leave the box marked at 'Active and receiving deliveries' but if, for example, you wish to export unsubscribed receivers, you are able to do it here. Finally you have to chose a Segmentation rule set for the export. This function enables you to drag subscribers from advanced filters which you create at Lists and Subscribers -> Subscriber search. You can read more about segmentation here. Chose Order and Ubivox begin to process the export. Once completed, you are able to download the exported file at the overview of ordered exports.